See Us! 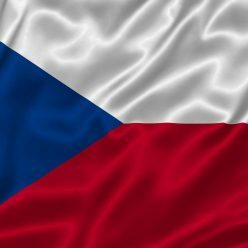 We are Czech. There have been multiple Czech actors across history who have found success abroad. Take Jiří Voskovec, for example, who appeared in one of the most famous film in history – 12 Angry Men. Or Hugo Haas who directed several films in the USA. Karel Roden has starred opposite actors such as Robert De Niro or Rowan Atkinson. But there is a woman who surpassed all of the men mentioned above, and her name is Anny Ondráková (she was also known as Anny Ondra). Anny Ondráková was born in 1902 (some say 1903). She was a ballet dancer as a child and also did theatre work. She first appeared in a film when she was merely seventeen years old. Although she has acted in multiple Czechoslovakian films, Anny Ondráková found her biggest success abroad. From her Czech filmography, it is important to mention her co-operation with director Karel Lamač and her co-starring role in On a jeho sestra with Vlasta Burian. Ondráková begin her career abroad with the Austrian film company Sascha-Film. 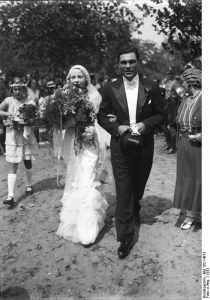 She spent a part of the 1920s in Austria and German where she repeatedly worked. Her language knowledge helped her significantly in her career – she spoke Czech, German, English and French. Ondráková’s biggest success came in the late 1920s. Legendary British director Alfred Hitchcock chose her to play a leading part in two of his films, Blackmail and The Manxman. Anny Ondráková is the only Czech artist who had the opportunity to work with Hitchcock. And even though British actress Joan Barry dubbed her part because of Ondráková’s accent, Anny Ondráková still left a significant mark in the history of film. She filmed her last film in 1957 and died thirty years later.